The high-tech towers can differentiate between people, groups of people, animals, and even vehicles, while also detecting whether the people or vehicles are carrying weapons, drugs, children, or other risky items. More than just a motto, the creed of the Israeli-based company reflects in their inventive and innovative work on the southern U.S. border, says Bob Edmonds, vice president of marketing. With border control dominating discourse, the Fort Worth-based subsidiary has introduced a new technology to America that will change the game on security and border protection. The North Texas region has been the headquarters for the U.S. Elbit Systems subsidiary for over 25 years, but the company has 20 other locations around the United States. 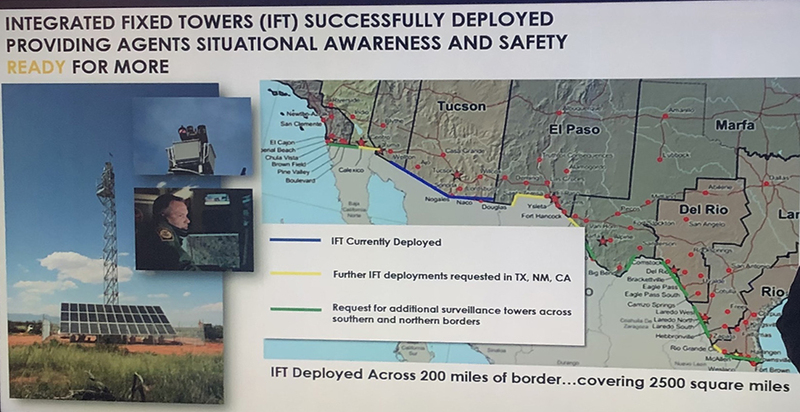 The headquarters specifically focuses on the main manufacturing and key management of Elbit Systems’ new and ever-changing technology in America—in this case, integrated fixed towers (IFT) that can monitor human activity on the border. The towers can differentiate between people, groups of people, animals, and even vehicles, while also detecting whether the people or vehicles are carrying weapons, drugs, children, or other risky items. 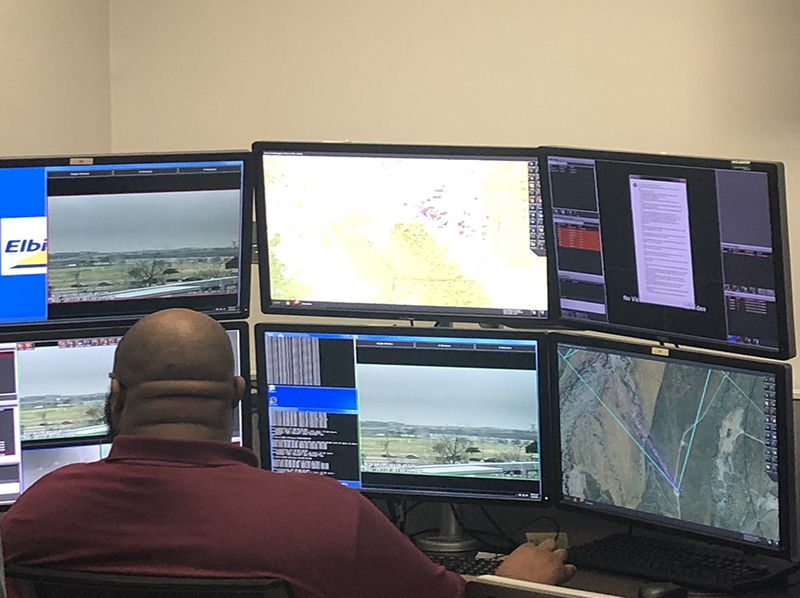 With the information the towers provide, officers are better equipped and informed to respond to threats or humanitarian needs along the border. Elbit Systems is divided into five markets of focus: defense, support & sustainment, commercial aviation, Homeland Security, and medical instrumentation. According to Edmonds, 80 percent of Elbit’s business focuses on the defense market, 10 percent is on homeland security, and the remaining 10 percent is dispersed among the other three markets. However, with the introduction of the new technology for border control, that is likely to change in the coming years. Five years ago, U.S. Customs and Border Protection established a $145 million contract with Elbit Systems as the creator of IFT. In a $145 million contract with U.S. Customs and Border Protection, 55 towers have already been deployed along the Southern U.S. border. Currently, those 55 towers are spread across a 200 mile span of border from Texas to Arizona. The 80- to 130-foot towers, which are not manned by on-site guards, allow officers to detect motion from a safe distance. Elbit has also created a concept truck with a deployable tower in the bed, called the M2S2. The truck, which bears a full data station in the front seat, has enough room for four or five officers and two computers for quick processing and data transcription. 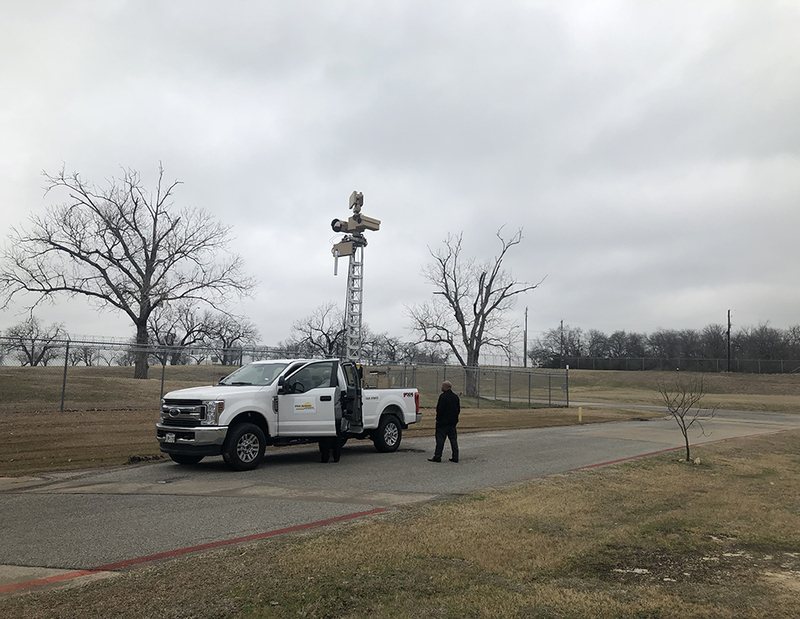 In place of the standard IFT tower, the truck can map out and chart the terrain of inaccessible areas, making it easier for the towers and officers to better surveil the area. Elbit says the truck is likely to see action soon. Elbit says the IFT hardware will significantly reduce the manpower needed to operate a traditional tower. Furthermore, the mobile unit will allow for a more accurate look at the regions being observed. 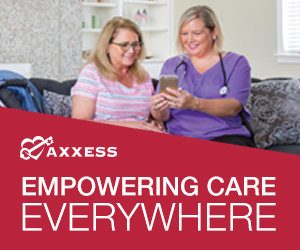 Both are extremely cost-effective and preserve time and energy better suited for more important tasks. In other words, they allow Elbit Systems to focus on its true mission.